This is one issue that gets people fired up on both sides of the aisle. Most scientists would agree that there is no compelling evidence to support any kind of visitation from extraterrestrial interstellar travelers on planet Earth, past or present. Believers, on the other hand, are adamant. There are two main areas of potential “alien activity” on Earth: ancient large-scale engineering projects and, more recently, abductions. Today, I’d like to focus on aliens as technology consultants to our ancestors. I’ve written about abductions elsewhere (with a clever title, no less!). They’re a hot topic for sensational TV programming, and even Saturday Night Live even got in on the act with this funny routine. But what about alien engineers? Could they have visited us before? 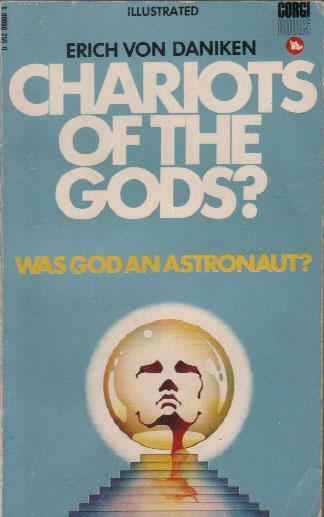 Growing up, I remember the 1968 explosive bestseller by Erich von Däniken, Chariots of the Gods? Unsolved Mysteries of the Past. Using cave paintings, tribal engravings, and dubious archeological evidence, Däniken suggests that the technologies of the past—think Egyptian and Mayan pyramids, Stonehenge, and the Nazca Lines in Peru (shown above), for example—were built under the guidance of our friends from outer space. The premise is fascinating. Could there be intelligent life elsewhere in the galaxy, advanced enough to build interstellar traveling machines? The honest answer from a rigorous scientific standpoint is disappointing: We don’t know. There could indeed be technological civilizations in outer space. My colleague at 13.8, Adam Frank, has argued convincingly for high odds in his book Light of the Stars: Alien Worlds and the Fate of the Earth. If so, it is conceivable that they would have spotted Earth and decided to take a trip or more down here. For the sake of argument, let’s imagine that they did come here a few thousand years ago to help our ancestors on their worshipping monuments. A few questions immediately come up. Why do the pyramids and Stonehenge and Nazca Lines show no trace of a truly remarkably advanced technology, one inherited from beings able to cross interstellar distances? Why aren’t there any remains of such alien technologies or visits? What was the purpose of such strange interference with their human hosts? Why did they leave and decide not to come back? Why aren’t there other samples of such advanced technologies, for example, ancient dams or power stations? Why didn’t they teach their human hosts some more advanced science and mathematics, the use of electricity and nuclear energy, for example? Däniken’s arguments are circumstantial and very human-centric. The interpretation of engravings and ancient maps—with human-like creatures with what appear to be globes on their heads (as depicted on the cover of an early edition of Chariots)—does not lead to convincing scientific proof that the models were real aliens. Complex engineering monuments from thousands of years back do inspire awe. But it is easy to demonstrate that vast amounts of animal and human power, ropes, and a lot of time and resilience can do the job—as shown in this short documentary from Naked Science. And another one, about the building itself in more detail. Let’s consider interstellar travel for a moment. The nearest star system to us are the three stars in the Alpha Centauri system, some 4.3 light-years away. They are the focus of Cixin Liu’s amazing best-selling novel The Three-Body Problem, where he speculates about aliens there (the “Trisolarians”) and their (evil) plans toward us. If those aliens built a spaceship that could travel at the speed of light, it would only take them 4.3 years to reach Earth. But it would take our current fastest spaceship about 100,000 years to reach Alpha Centauri—not a feasible prospect for us. So unless these aliens had developed significantly more sophisticated forms of space travel, there’s reason to be highly skeptical. Clearly, efficient interstellar travel requires some undreamt technology. Even at the speed of light, taking a nine-year round trip to visit our nearest neighbors seems unpractical. More realistically, at about one-tenth of light’s speed (potentially possible, using solar sails and lasers), it would be 90 years. And that’s the next-door neighbor. The Milky Way galaxy spans some 100,000 light-years in diameter. Exploring such vast distances requires magical technology (at least to us), huge amounts of time, and, very importantly, the will to do so—a kind of cosmic wanderlust. If aliens do have cosmic wanderlust, why aren’t they visiting more often? Why have they forsaken us? 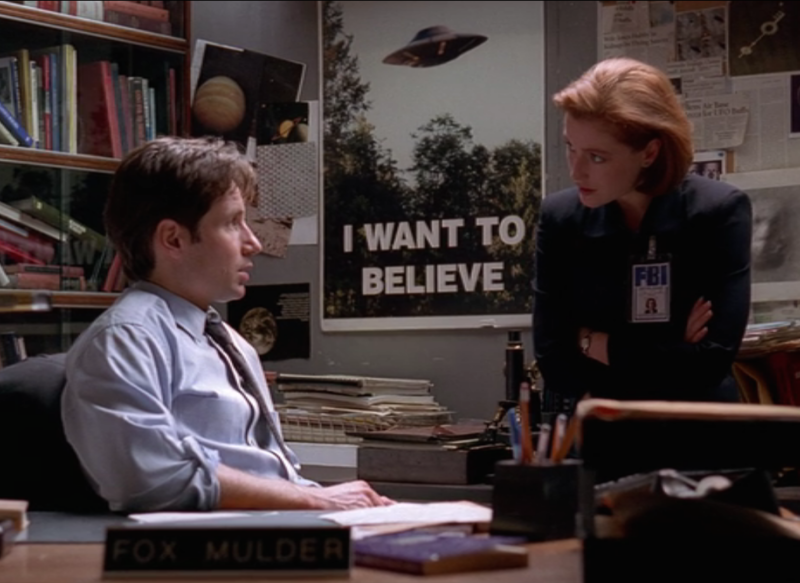 J. William Schopf, a paleontologist at the University of California, once said that extraordinary claims demand extraordinary evidence, a phrase Carl Sagan used often with respect to alien visitations. This sort of cold scientific logic frustrates those who say “I Want to Believe,” to quote the famous poster hanging on the wall of FBI agent Fox Mulder of television’s X-Files series. It’s important to note that scientists are skeptics not because they’re stubborn, nasty, insensitive, or blind; we would love to have evidence of extraterrestrial life, especially intelligent life! Some of us have dedicated decades of research to the question of life in other worlds. (I recommend this video by Jill Tarter, a pioneer in the search for extraterrestrial intelligence and a model of scientific integrity. The discovery of intelligent alien life—or, for that matter, any kind of alien life—would be a true game-changer for humankind, forcing a deep revision of our worldview. There would be so much to learn. The fundamental precept of science is that solid, verifiable data must back claims, be they simple or remarkable. Otherwise, why give science any credibility? Planes fly, cars run, power stations work for a reason: because science works. It’s really too bad that we can’t (yet) fly to the stars. But given the explosive growth in space exploration and the privatization of the space race, that day may come. And when it does, odds are that we’re the ones who’ll be the visiting aliens.